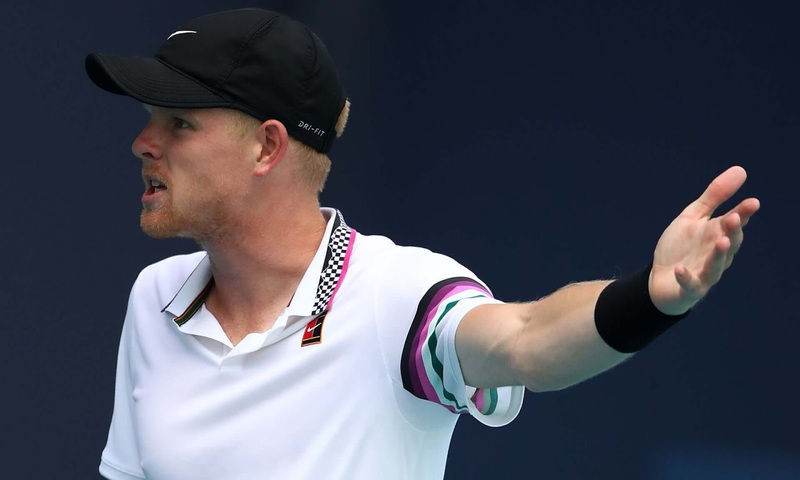 The British No 1 Kyle Edmund was crushed in two shut units by John Isner in their fourth-round fit at the Miami Open, with the climax marred using a fan calling out throughout a critical point. Isner claimed the opening set on a tie-break. However, Edmund had recovered to pressure every other in the second. However, when serving at 3-5 down, there was once a shout of “out” from the crowd following a return from the American down the baseline. The gamers continued, Edmund having raised his hand to the chair umpire, who then referred to as a halt a couple of shots later. Edmund replied: “I didn’t stop,” then added: “You have no control … they keep shouting at every factor … unbelievable.” He used to be dominated to have misplaced the point, which left Isner, the world No 9, 6-3 ahead and serving for the match. Following another heated exchange between Edmund and the umpire, play eventually resumed, Isner produced his 17th ace to seal his vicinity in the quarter-finals with a 7-6 (5), 7-6 (3) win in one hour and 43 minutes, which keeps him on the route for a successful title defense. There was once a little signal of the drama to observe as Isner had earlier looked to have taken control of the opening set when a spoil and then a maintain noticed him cross 5-2 ahead. However, like the sun on the Stadium Court persisted in affecting serving, Edmund – who beat Milos Raonic in the 1/3 round – recovered to wreck returned and stage at 5-5 before forcing the tie-break. The Briton ranked No 22 in the world, then produced an early mini-break on Isner’s serve to cross 3-0 and later 4-1 ahead. Isner, though, replied to stage at 5-5 after two mini-breaks with every other handing him a set factor which the American confidently dispatched on serve.